Bright (2017) is a new upcoming Netflix Original film directed by David Ayer. In this world, mystical creatures are a reality, and Will Smith plays a character who is paired with the first Orc to join the police force. The Orc stars Joel Edgerton. These two cops must now fight an evil power seeking to obtain an extremely powerful artifact weapon. Filming just wrapped up earlier this February (2017) and the release date is sometime in December 2017. I am excited after watching this movie trailer because the stars feel right and the tone of the film looks awesomely done. Will Smith, Joel Edgerton, and Noomi Rapace star in Bright. Humans, Orcs, Elves... everybody is just trying to get along. 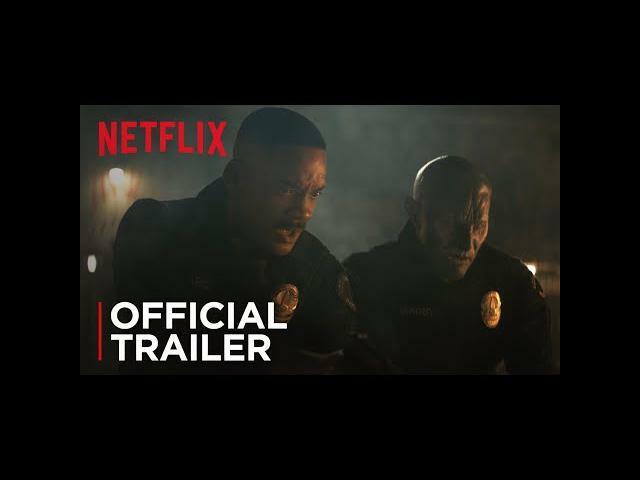 Get ready for the world of Bright, a new Netflix Original Film, starring Will Smith and Joel Edgerton. Now streaming on Netflix. In Los Angeles, humans live with orcs and elves in a world where fantasy creatures do exist. LAPD police officer Dayl Ward is the first human cop having the orc police officer Nick Jakoby as a partner. When Ward is shot by an orc and Jakoby does not capture the shooter, he questions whether Jakoby lets the fellow orc escape. During a patrol, Ward and Jakoby arrest a man that tells that there is a prophecy and Ward is blessed. Meanwhile, Internal Affairs press Ward to find the truth about the escape of the shooter so that they can fire Jakoby. The magic department of the FBI interrogates the man that belongs to the terrorist Shield of Light group which protects brights so that they can prepare for the return of the Dark Lord that will destroy the world. Ward and Jakoby are summoned to attend a disturbance and they stumble upon a Shield of Light safe-house where they arrest the elf Tikka and bag her magic wand. Soon they learn that Tikka is hunted down by the evil and powerful rogue elf Leilah and her Terrorist group Inferni which are the ones actually trying to resurrect the dark lord and they need to protect Tikka and the wand; otherwise the world will be destroyed. What will they do?